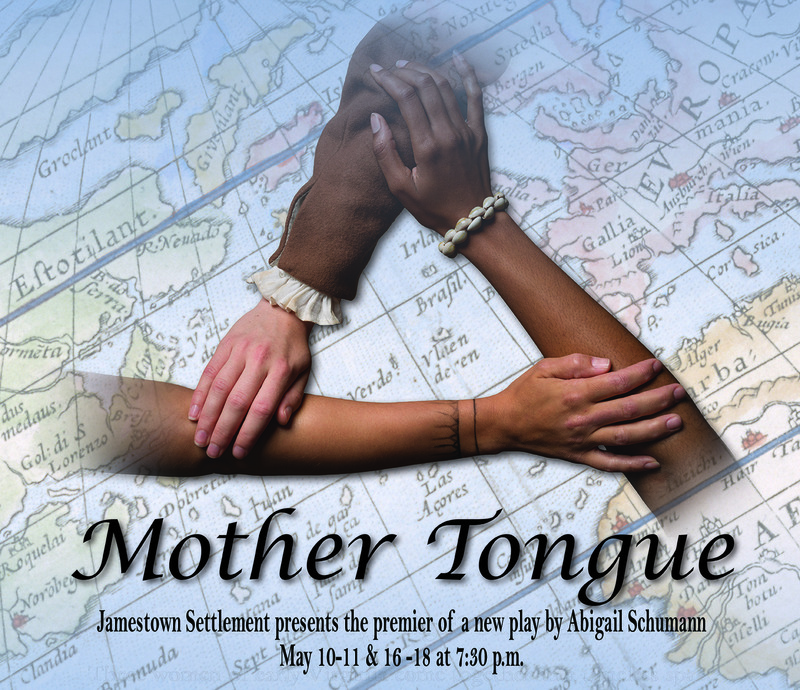 Jamestown Settlement presents the premiere of “Mother Tongue,” an original play written by Abigail Schumann, that explores the stories of three women of Jamestown – Matoaka, Anne Burras Laydon and Angelo – as they come together to consider if, and how, the future will remember them and why it matters. This new production will take the stage in the Robins Foundation Theater at 7:30 p.m. on May 10-11 and May 16-18, with Jamestown Settlement’s “TENACITY: Women in Jamestown and Early Virginia” special exhibition open to attendees each evening at 6:30 p.m. prior to the start of the play. Tickets to this nighttime theatrical event are $20. Matoaka, also known as Pocahantas or Amonute, the daughter of Powhatan, paramount chief of more than 30 Virginia Indian tribes, is played by Heather Doré Johnson. Heather has spent most of her theatrical career as a performer and dance director at The Little Theatre on the Square in Sullivan, Illinois. Anne Burras Laydon, who arrived in 1608 at the age of 14 as one of only two English women in the colony at the time, is played by Michelle Smith. Michelle holds a Master of Fine Arts in acting from the University of Iowa, and since graduating has performed on numerous stages across the United States. Angelo, who arrived in Virginia in 1619 and is the first African woman mentioned by name in the historical record at Jamestown, is played by Shalandis Wheeler Smith. Shalandis received a Bachelor of Arts in theatre from Norfolk State University and is very active in Richmond’s theatrical scene. 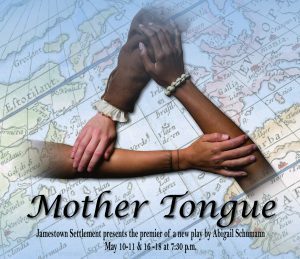 Written in support of Jamestown Settlement’s special exhibition “TENACITY: Women in Jamestown and Early Virginia,” a legacy project of the 2019 Commemoration, American Evolution, “Mother Tongue” blends historical content with modern perspective. The facts of each woman’s life are drawn from the historical record where available, while supplemental invention (such as childhood memories) is used to propel the narrative. Interweaving forth-wall scenes with direct audience address, the three women, who did not interact in real life, meet in a timeless space to compare their experiences and reflect on the meaning of their lives. The new play is held in conjunction with the yearlong “TENACITY: Women in Jamestown and Early Virginia” special exhibition, a 2019 Legacy Project. This event made possible by Dominion Energy.